George's provides friendly and knowledgeable service in a very unique location just west of the Arkansas River in Jenks. 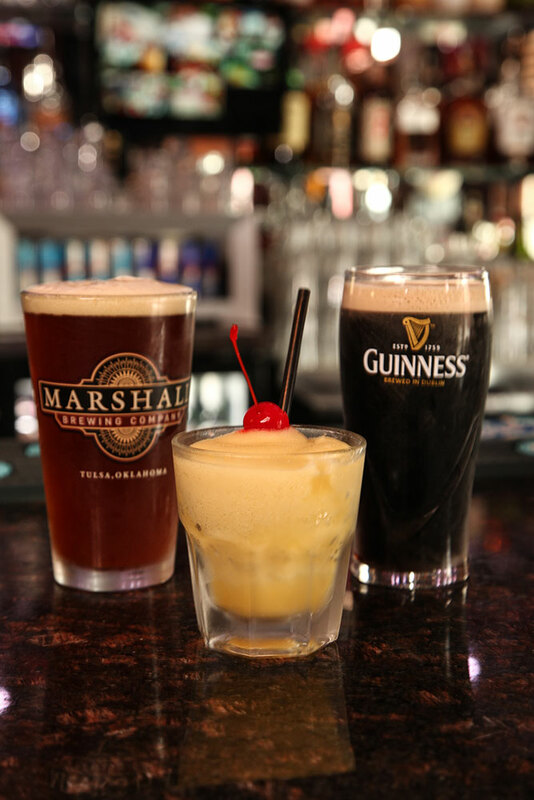 A 21-and-over bar/restaurant, George’s has a great selection of beers and spirits as well as grub that is primarily made in their kitchen and never frozen. Enjoy yourself on their cozy dog-friendly patio or catch a game inside where it is always non-smoking. There’s a full bar including a strong whiskey selection. 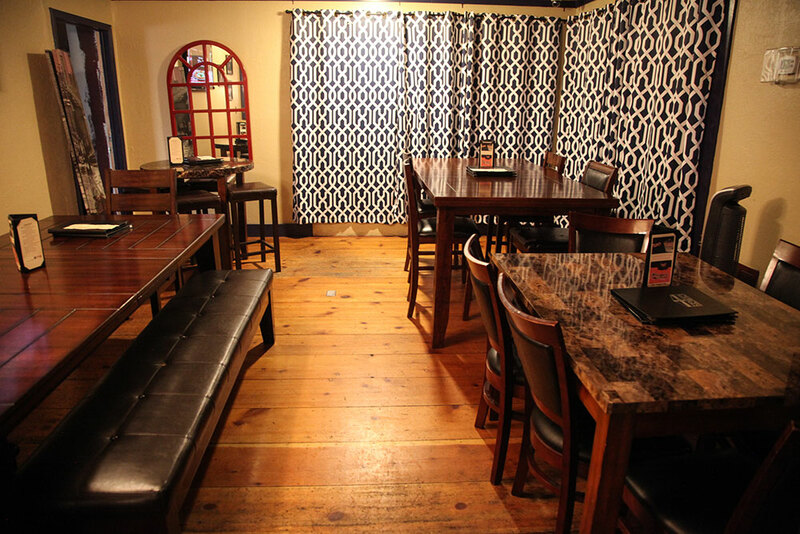 But if you’re a beer lover, George’s may quickly become your home away from home. You’ll only find eight on tap, but with nearly 80 bottled brews available, you’ll be busy working your way through the list and likely find a new favorite. 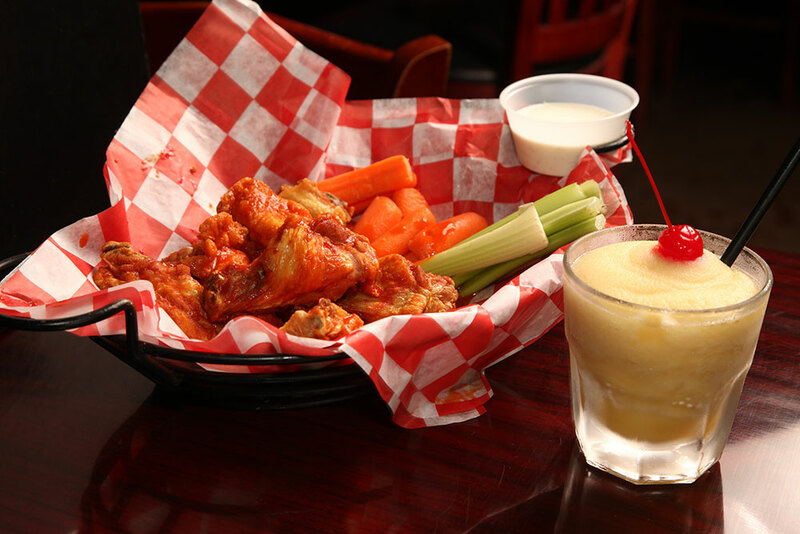 One of the biggest draws for George’s is the food that’s not of the pre-made, frozen varieties that are an unfortunate standard at most bars. So you’re looking for a classic neighborhood bar that feels like your own? Someplace that feels personal where you can relax and enjoy a drink, grab something to eat when the urge hits, and watch a game or maybe even listen to some cool music. A place where everybody knows your name and they’re always glad you came? Not actually Cheers, but maybe something close. Well, those living in Jenks have just the place — and the rest of south Tulsa is catching on and showing up as well. Tucked away off Main Street on First Street, in the historic part of Jenks, George’s Pub started out seven years ago as a good idea in a questionable location and has proven to be ahead of the curve in making its part of the neighborhood more than just antique shops and a crossroads for the high school. Walking up in the quiet part of the afternoon, it admittedly doesn’t strike much of an impression. It’s a two-story storefront in a 100-year-old building on a quiet side street with a semi-enclosed patio containing tables on the north side. Step inside, however, and it’s a treasure that opens up more with each visit. A relatively small bar floor with a flurry of high-topped tables is warmed up by high ceilings. An open stairwell leads upstairs to more seating on the rail and a game room with a pool table, darts, and more to keep friends occupied. With flat screens around the room, you won’t lack a view of whatever game is on, regardless of where you park yourself. In fact, if you’re a football fan (or futbol fan, for that matter), you can count on a game being on if it’s being broadcast. There’s a full bar including a strong whiskey selection. 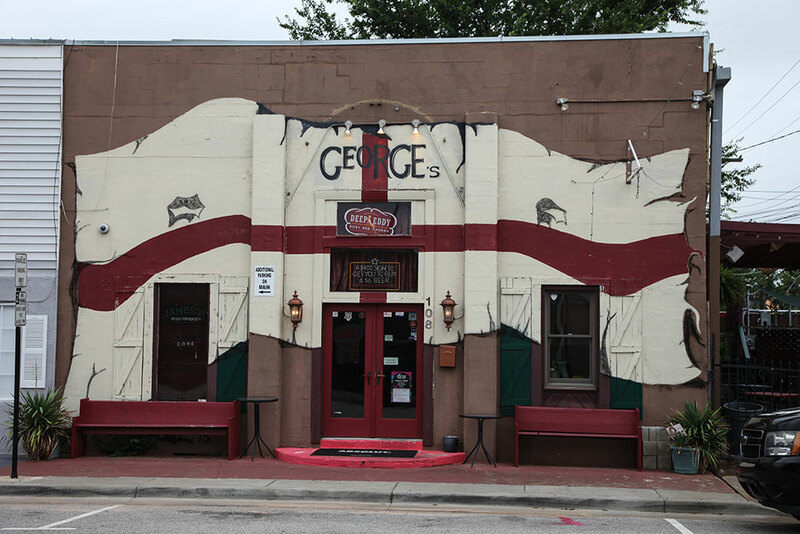 But if you’re a beer lover, George’s may quickly become your home away from home. You’ll only find eight on tap, but with nearly 80 bottled brews available, you’ll be busy working your way through the list and likely find a new favorite. If you enjoy trying new brands and styles, you’ll want to check out George’s Thursday evenings, as the pub features a different beer each week for Pint Night, where you get to try a new brew and keep the glass. Owner and general manager Corey Crandall says that pint night isn’t exclusive to local brews, either. Sure, a local beer will work its way into the lineup on occasion, but George’s makes sure to leave borders open, featuring craft brews from coast to coast. One of the biggest draws for George’s is the food that’s not of the pre-made, frozen varieties that are an unfortunate standard at most bars. 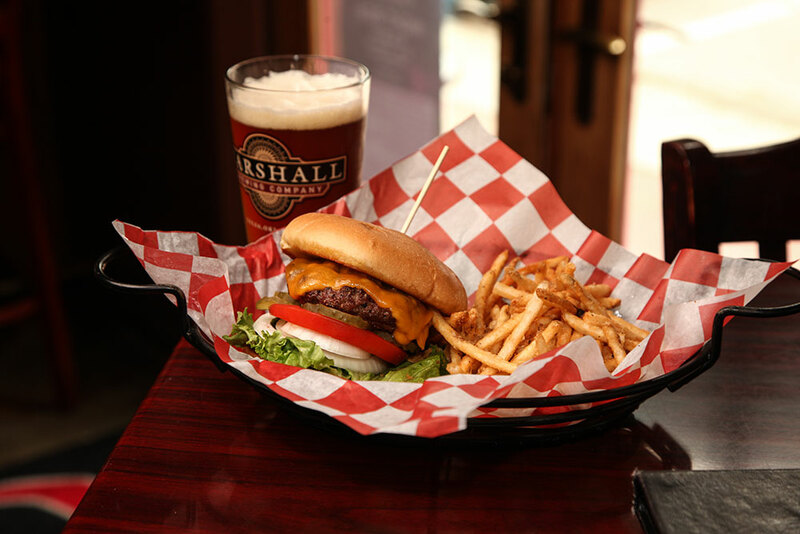 Weekly specials include the Sloppy George, a twist on the classic sloppy joe, as well as a steak sandwich on Sundays; traditional or boneless hot wings (with eight sauces to choose from) and a pulled pork sandwich on Mondays; beef, chicken, or pulled pork tacos on Tuesdays; a third pound Black Angus burger on Wednesdays; and Guinness battered fish and chips, sandwiches, wraps, and tacos as well as grilled, blackened, or Thai fish tacos on Thursdays. 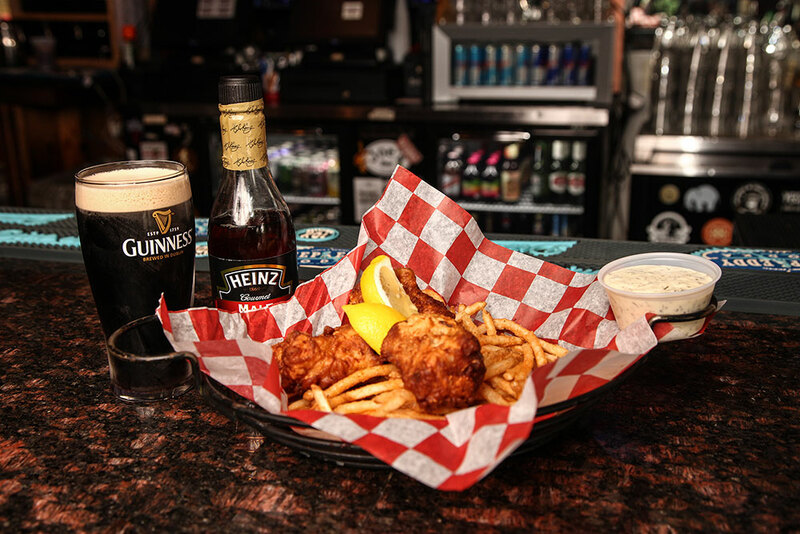 If you’re relaxing inside, George’s is primarily sports oriented, but Friday and Saturday nights feature live music on the patio as long as the season and weather cooperate. With a small stage at the back of the patio, it’s a chill vibe, and you’ll usually find a two- or three-piece group playing mostly originals, with some occasional cover tunes. 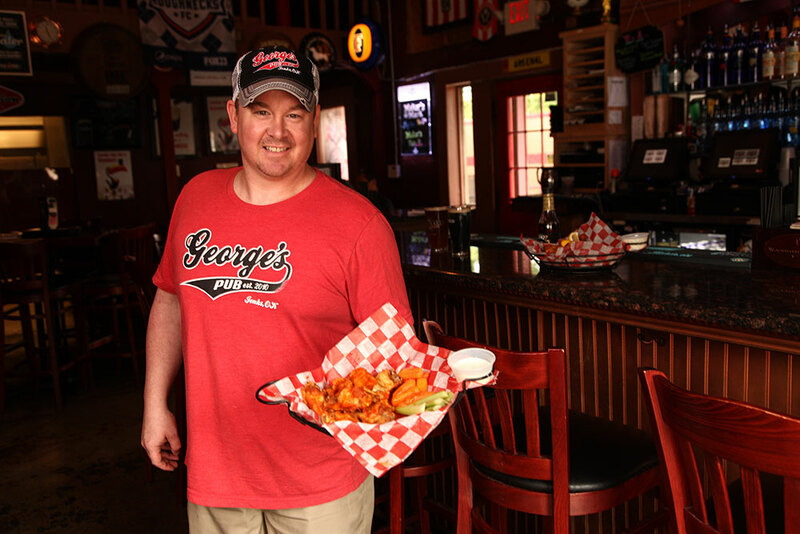 George’s is celebrating its seventh birthday Sept. 23, and will be celebrating all weekend long, marking the occasion by doing what it does best — staying the course and keeping people happy with pint night and live music. “We work hard to treat everyone who comes in the door like family,” he says. “We used to take pride in knowing almost everyone by name, but we’ve grown so much, that it isn’t realistic anymore. Even so, we still try to treat everyone the same and make them welcome. “The biggest thing, I think, is that we’ve learned from our mistakes. You can’t make everyone happy and we don’t try. Our regulars know that the policy here is the customer is sometimes right,” he says with a laugh. Even so, George’s has found a way to strike that perfect mix that keeps everyone happy and coming back. On any given night, you’re likely to find a construction worker parked at the bar next to a doctor or lawyer in a $600 suit, sharing a chat and a beer while watching the game. With a staff that sees relatively little turnover, it’s easy to feel at home and comfortable every time you show up. “It’s been interesting and fun to watch,” Crandall says. “We’ve really grown into a happening little place here, seven nights a week.